“Black mould in your home could be triggering terrifying hallucinations of ghosts and demons, experts have warned. One in three people in Britain believes that a house can be haunted and 28 per cent think they’ve experienced a ‘supernatural presence’, according to a YouGov survey. 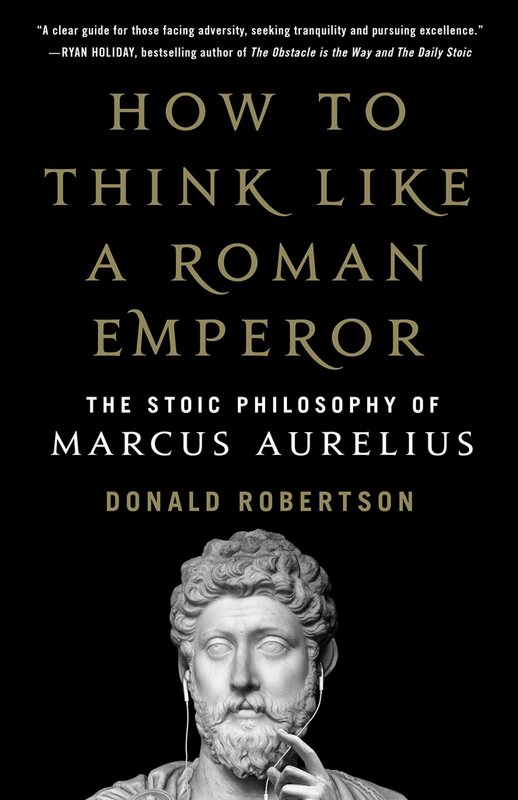 Introducing How to Think Like a Roman Emperor, free email course based on the forthcoming book How to Think Like a Roman Emperor: The Stoic Philosophy of Marcus Aurelius which is due out in April from St Martin’s Press. “This eLearning course contains lots of free resources based on my book How to Think Like a Roman Emperor: The Stoic Philosophy of Marcus Aurelius. It’s designed for people who haven’t read the book yet but are interested in finding out more. If you do want to get a copy of the book when it’s published, though, you’ll get even more out of these resources. You’ll find an interview with me, the author, as well as videos in which I read excerpts from each chapter and provide a commentary explaining the contents. There are also lots of bonus resources, including Marcus Aurelius comic strips, a quiz, and an article about my experience of writing the book, as well as some links to podcasts and other relevant interviews. In 1923 Frater Achad (Charles Stansfeld Jones) wrote a series of rare, hard to find, essays for the short-lived, Los Angeles magazine, Occult Press Review. He first became involved with the magazine with the February-March issue and continued his involvement throughout 1923. Besides contributing five articles to the magazine he also developed a new cover design and became a contributing editor. Some of the articles he contributed included “Gambling with the World” and “Initiation.” Rounding out this book are an additional two articles he provided in 1923 & 1924 to the British magazine, the Occult Review. Each book is bound by hand and measures 8 1/2” x 11”. 55 pages. Printed in blue and black on acid-free, 24 lb. Royal Laid paper specifically chosen for this edition. 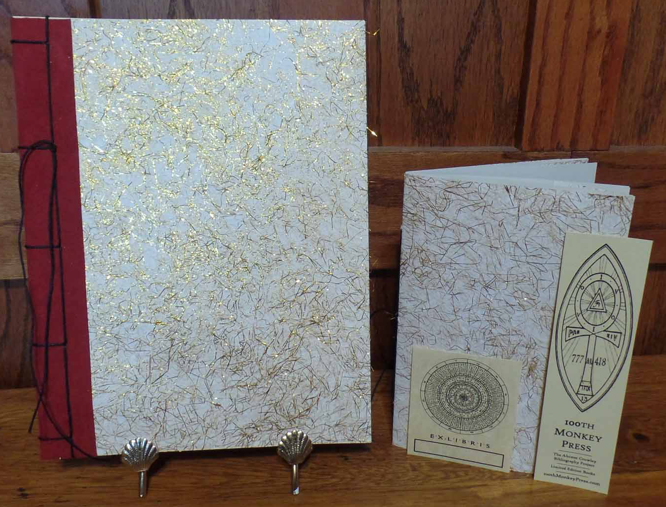 Bound using a stab style binding with a soft, acid-free, wraparound white paper cover with gold threads. The spine is wrapped in a red faux suede material. As an added bonus, each book comes with a 5 1/2” x 8 1/2” hand-bound copy of Frater Achad’s essay entitled “Thinking Backwards” bound in matching paper. “According to [John] Dewey, we have access to this submerged substratum of information, or ‘qualitative’ thought, through reflection; if we look deeply into our experience, we can make the connections which turn bare facts into truth, or for Dewey, into wisdom. “Viktor Wynd Requests The Pleasure of Your Company for The Opening of His Next Exhibition of artworks by Mervyn Peake. the exhibition will run until September 2019. Mervyn Peake was born in China in 1911 to medical missionary parents. Educated at Eltham College, he won a scholarship to study at the Royal Academy Schools. In the summer of 1933, having completed only three of his five years, he left to join an artists’ colony on the island of Sark, where he painted intensively, producing some remarkable portraits and less remarkable landscapes. Spotted by the head of the Westminster School of Art, he was taken on to teach life drawing from early in 1935. Back in London, he was invited to contribute pencil portraits of well-known figures to the London Mercury; he painted both portraits and landscapes for himself, at the same time as writing poetry. He had his first major exhibition in the spring of 1938. With the coming of war, the Westminster School closed and Peake withdraw to the safety of a tiny village in Sussex. He applied to work as a war artist, but he was drafted into the Royal Artillery, which could find little use for him. From the moment he was called up, he started writing a work of pure imagination which was published as Titus Groan in 1946. A second volume, Gormenghast, followed in 1950, and a third, Titus Alone, in 1959. Re-issued as “Penguin Modern Classics” at the end of the 1960s, they finally found the public they needed; they have never since been out of print. Recognizing Peake’s gift for illustrating nonsense and the fantastic, Chatto & Windus brought out his Hunting of the Snark in 1941, followed by The Rime of the Ancient Mariner, which sold out within a week of publication in 1943. It was a Swedish publisher that commissioned his Alice in Wonderland and Through the Looking-Glass; his drawings have been called the definitive modern interpretation of Carroll’s books. Nineteen forty-eight saw the publication of one of Peake’s illustrated books for children, Letters from a Lost Uncle (which was remaindered). In the same year he illustrated Dr Jekyll and Mr Hyde for the Folio Society, and he started illustrating Bleak House by Charles Dickens, but the publisher abandoned the project. His Treasure Island (1949) was the last of his great illustrated works. 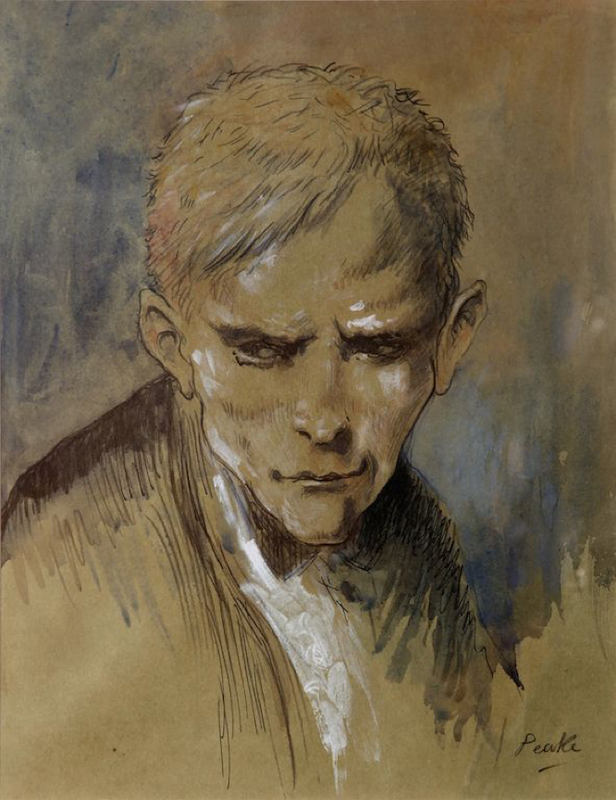 In 1950, the year in which Gormenghast was published, Peake returned to teaching and, for lack of commissions, he devoted much time to writing a play, which had a very brief run at the Arts Theatre in 1957. By then, he was suffering from early onset Parkinson’s Disease, from which he died in 1968. 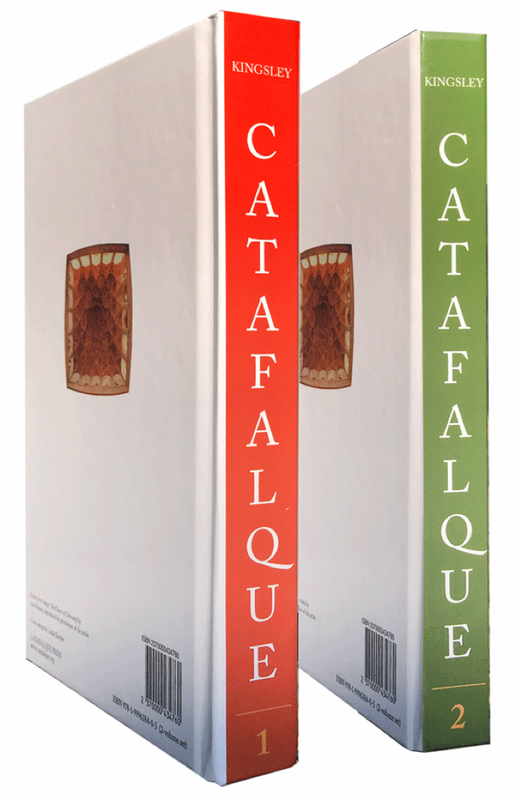 “Catafalque offers a revolutionary new reading of the great psychologist Carl Jung as mystic, gnostic and prophet for our time. This book is the first major re-imagining of both Jung and his work since the publication of the Red Book in 2009–and is the only serious assessment of them written by a classical scholar who understands the ancient Gnostic, Hermetic and alchemical foundations of his thought as well as Jung himself did. At the same time it skillfully tells the forgotten story of Jung’s relationship with the great Sufi scholar, Henry Corbin, and with Persian Sufi tradition. The strange reality of the Red Book, or “New Book” as Carl Jung called it, lies close to the heart of Catafalque. In meticulous detail Peter Kingsley uncovers its great secret, hidden in plain sight and still–as if by magic–unrecognized by all those who have been unable to understand this mysterious, incantatory text. But the hard truth of who Jung was and what he did is only a small part of what this book uncovers. 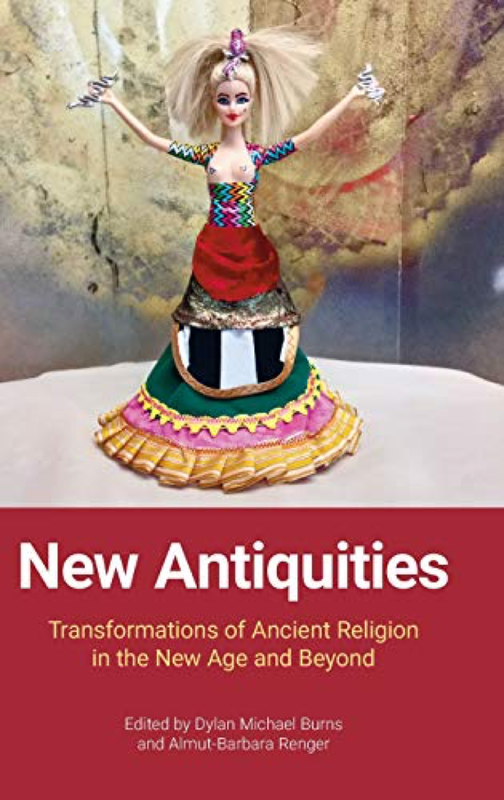 It also exposes the full extent of that great river of esoteric tradition that stretches all the way back to the beginnings of our civilization. It unveils the surprising realities behind western philosophy, literature, poetry, prophecy–both ancient and modern.